Come to think of it, the whole attack never really felt right from the start. The Black Moon Guild decided not to participate in the middle of the attack, and the group honestly wasn’t prepared enough to attack anything. The entire situation got far too big at this point. There were too many people watching. Juk Hyul Myung walked up to the doors, hesitated a bit, then lifted one foot. He slowly began to lower it down to the other side, but before he actually touched the ground, he turned to Gu Hui. Juk Hyul Myung then smashed the ground lightly with his leg. The moment his foot touched the ground, a wave spread out through the earth. The wave was big enough to be visible to the naked eyes. The martial artists who had been watching shouted out in admiration. It truly was a powerful move. 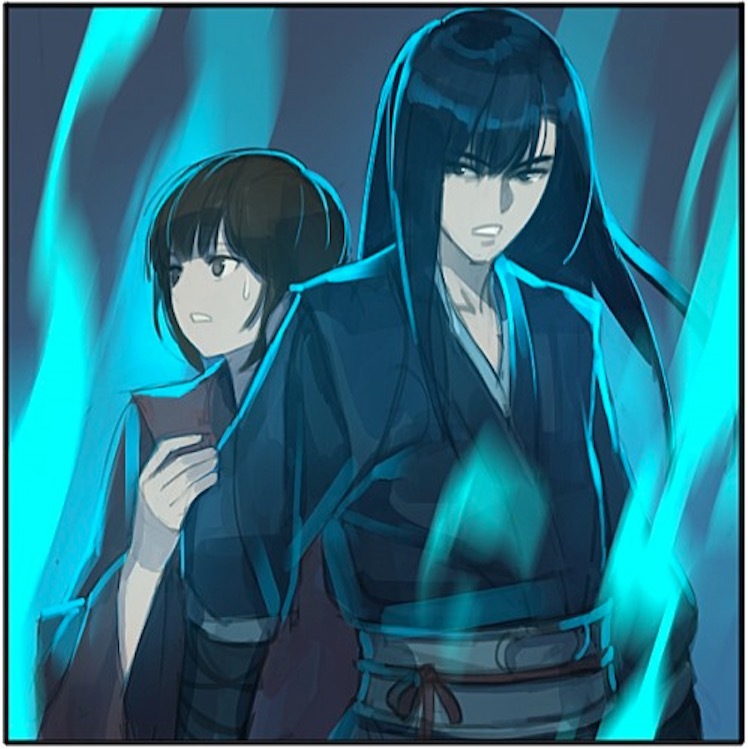 But Juk Hyul Myung and Gu Hui didn’t seem happy at all. The formation did not break. Gu Hui stroked his chin and frowned. The attack performed by Juk Hyul Myung was stronger than what the martial artists saw. There were probably only two people who noticed it’s true power. Gu Hui and Kang Sebin. Gu Hui had studied formations before. But he only knew a little about them. In front of a formation like this, none of the things he knew were useful. That would mean that they would have to break the formation from the inside, but would that be easy? His head was beginning to get complicated. Right after he thought that, Juk Hyul Myung opened his mouth. As he said this, and he walked into the formation, his body disappeared after a few steps. While the experts from the Alliance all became shocked speechless, the experts of the North Sea Ice Palace walked in silently. Gu Hui looked back when he heard a voice from his back. He could see Kang Sebin look at this happening with an interested face. He turned back and looked at the formation again. Then, he looked at the sky for a few seconds. The deed was already done. There was no need to wait any longer. The Nanman Beast Gate’s people moved after the North Sea Ice Palace’s. Once they disappeared from sight, Kang Sebin began to move as well. He looked into the formation and spoke. Kang Sebin’s eyes shone when he heard this. The man was actually smarter than what he had thought? Qing Song Ja made a face of relief when he found that Kang Sebin did not move and turned back. He faced the thousands pairs of eyes that were staring at him and coughed a few times. Then, Qing Song Ja opened his mouth with fiery eyes. Everyone became quiet and began to look at each other nervously. Kang Sebin sighed when he watched Qing Song Ja slowly count. There was no way a martial artist from the Alliance would quit. They would rather die than do that. Qing Song Ja knew this better than anyone. He was just trying to create an escape for himself, just in case he got in trouble later on. Kang Sebin shook his head as he thought of his master. He had originally joined just to take a look at the heir of the Church. After all, the person in question was the disciple of the great Gongson Chun Gi. He was planning on leaving. Qing Song Ja slowly walked until he reached the door. He tried to not show it, but Qing Song Ja was actually trembling lightly. It made him nervous to think of attacking the Church itself. But he immediately shook off his nervousness and walked forward. Kang Sebin walked into the formation along with the crowd. Cho Ryu Hyang, who had been sitting on his desk for a while, slowly opened his eyes, and looked forward. In front of him, there were thousands of martial experts who were looking right at him. Sunwu Cho Rin made a confused face as she bowed down. The only thing the heir did was to draw a circle with strange shapes in it and step into it. Then, he closed his eyes as if he was sleeping, and he tells her to get ready to fight. According to what the heir said, there was a giant formation surrounding the Sichuan branch. That was why their enemies were so hesitant about coming in. Not even Sunwu Cho Rin could look down on the enemy this time. There were three harmonious experts this time. A single harmonious expert was able to take care of tens of peak experts. Just a single person was able to change the flow of an entire battle. And according to their info even the experts they had were of a higher class than theirs. They were outnumbered and outclassed. But the heir seemed calmer than ever. He definitely had something in his sleeve. Sunwu Cho Rin proceeded to command her subordinates to carry out the heir’s ‘peculiar’ command. The subordinates followed her commands, but made a confused face as well. The tool that was laid out in front of them was the tool that was used to store fish when fishing. Sunwu Cho Rin had no idea what the heir was thinking. Why was he telling them to fight with such a cumbersome thing? Everyone was confused, but they didn’t dare say a thing. That was how the Church worked. Their enemy arrived at the first gate in an instant. Strangely enough, the very first person who came in was the most sensitive out of all of them. It had to be one of the two. No matter what type he was, Cho Ryu Hyang already had it calculated. As he watched the enemy outside the door, Cho Ryu Hyang narrowed his eyes. He needed to use a different method. Cho Ryu Hyang stood up, and looked at the circle on the floor. This circle was the diagram of the formation around Sichuan. Cho Ryu Hyang made a concerned face as he looked down at the circle. Cho Ryu Hyang carefully placed a gem in the middle of the circle. There was a need to separate the enemies. Juk Hyul Myung looked at Ju Da Hye with a confused face. Juk Hyul Myung was unable to talk any further. Ju Da Hye had cut him off completely. Juk Hyul Myung nodded without realizing it. Juk Hyul Myung tried to say something but gave up. There was no time for him to argue with the girl. Then, he began to feel something strange ahead. He felt something huge move? Juk Hul Myung was about to say something but stopped and looked around. Ju Da Hye quickly caught up and gathered her subordinates. As Ju Da Hye puffed her cheeks and tried to complain, Juk Hyul Myung grabbed her shoulders and pulled her close. Juk Hyul Myung was being serious. Ju Da Hye nodded with a confused face. Juk Hyul Myung looked behind him and opened his mouth. The leader of the Frigid Wind Division looked at his subordinates and smiled faintly. There was something stranger than what he originally had thought. He felt something, but it immediately disappeared. Juk Hyul Myung frowned because of the presences he suddenly felt. A blue flame rose up around everyone.